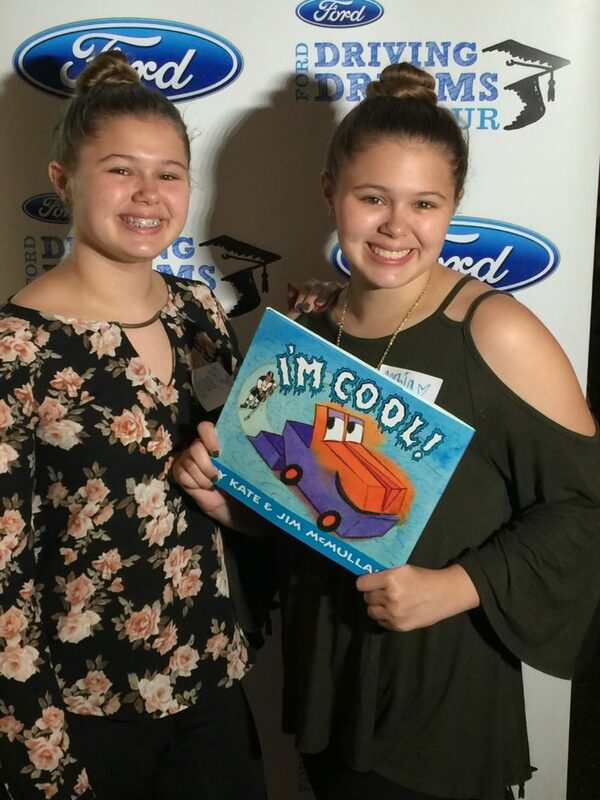 As part of the community investment plan in the Miami Region, the Ford Motor Company Fund hosted a #FordDrivingDreams Reading Party on August 9th at the BB&T Center (and we were invited!). We were delighted to participate by reading to a group of students and distribute books on site as part of the program. We had The Sophlivia Twins (our founder’s twin teen daughthers) as Ford readers, where they had the opportunity to read an excerpt from the pre-selected Reading Party book to a small group of students (watch them in action in video below!). Students were also given a box lunch to enjoy at the BB&T Center before departing. This initiative is part of Ford’s overall education efforts and focuses on promoting reading at an early age. The program was presented in partnership with First Book and kicked off with a Reading Party to announce the book the donation of 10,000 books to children in need throughout Miami-Dade and Broward Counties. This entry was posted in Back To School, For Mothers & Tias, Raising Tweens, Teaching & Education Tips and tagged encouraging reading, Ford, Ford Driving Dreams. Bookmark the permalink.